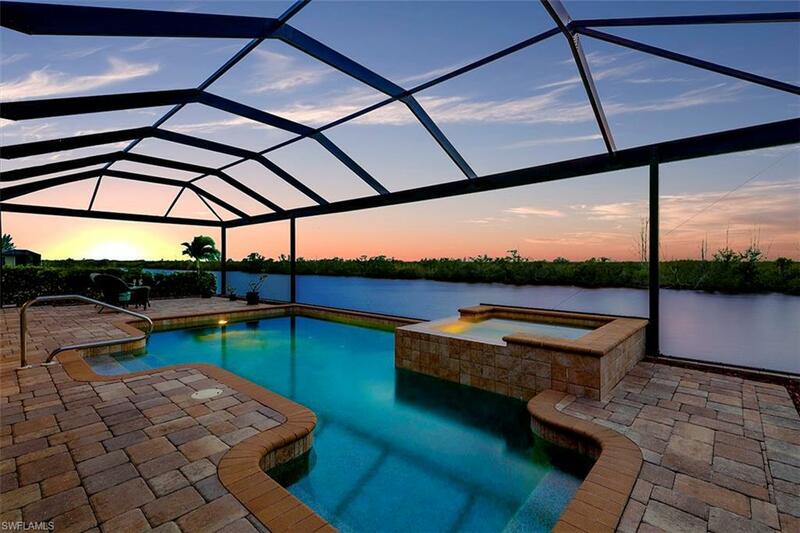 This pristine gulf access home is a 4 bedroom 4 bath home. It has not 1, not 2, but 3 master ensuites! Built in 2015 by paul homes in a wonderful location it's a must see. The home is two stories with italian diagonal tile and wood patterned ceramic tile. The a/c system has recently been maintained and is a two dual zoned system. The kitchen displays beautifully with york town cabinets and is open-concept for entertainment. The large kitchen island can easily seat 6. The whole home is lit with natural light by the wrap around sliders that lead to a great view! Enjoy your large deck and salt water pool side, every day as you look out at the large intersecting canal view, or from the second story balcony. 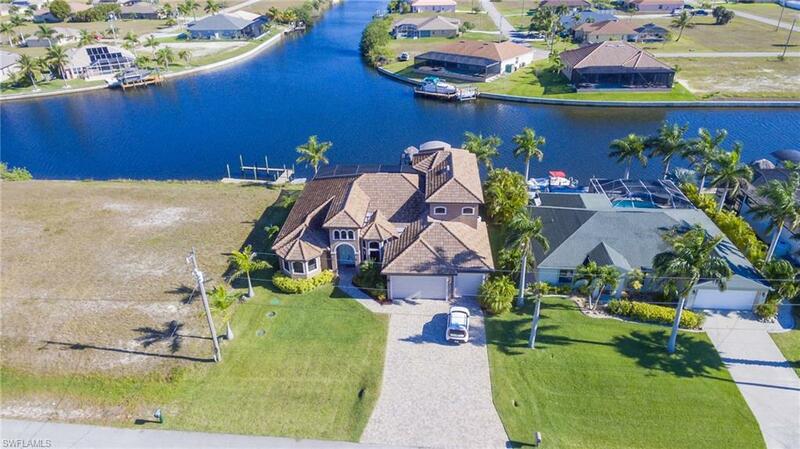 This waterfront is equipped with a composite dock, captains walk and tiki hut and 10,000 lb. Electric boat lift, for all your boaters dreams. By night, sit and watch the fish with your underwater lighting. The gulf is a 30-40 minute ride out, leaving your trip options limitless. Call for a personal showing today! Gulf access high quality 3 bed plus den, 3 bath, 3 car garage matlacha homes built home. Quality of construction evident in architectural trim, hurricane impact windows & doors, baldwin door hardware, hunter fans, high-end led lighted tray ceilings, granite throughout, delta fixtures, whole-house r/o system, high eff 14seer a/c, epoxy garage floor. Full premium landscaping completes your dream home. Kitchen boasts soft close wood, led lighted cabinets, granite stainless steel upgraded appliances, drawer microwave and wine cooler, stainless steel hood, custom back splash, waterfall granite island. 9 pocketing, sliding glass hurricane doors open to spacious lanai & summer kitchen featuring built-in grill, bull bbq sink, full poolside bar with granite counter tops & large outdoor living area. Oversize salt water pool & spa with wifi control & structure free screen to optimize view. Owner's suite overlooks lanai. En suite features his & her vanities & tub, walk-through shower with rainfall head & body jets, polished marble walls & river stone floor. Master closets include custom shelving. Water & pool equip under truss for longevity & security. 100 canal. Photos of previous build. The key biscayne is a three bedroom two bath with a 756 sq. Ft. Tandem three car garage home with epoxy finish floor. This lovely home offers 2250 sq. Ft. Under ac with a 450 sq. Ft. Covered lanai. The covered entry is 77 sq. Ft. For a total living space of 3533, sq. Ft. The great room, dining room, and study offer 11'4 high ceilings. The builder has a proven history of satisfied buyers with over 5000 homes built in the last 40 years in florida. They only provide the best in quality, building components and customer service. 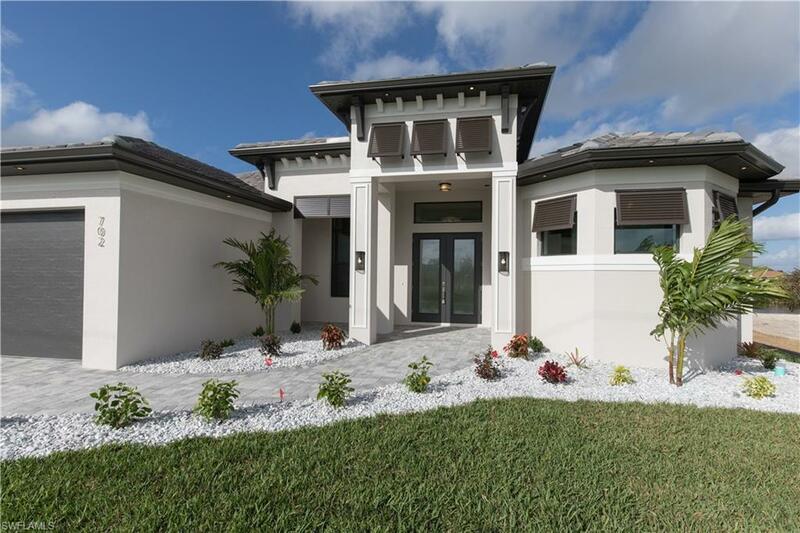 The key biscayne offers the builders signature open span lanai across the back of the home. (no columns), fabulous designer pool and spa, pgt high impact windows and sliding glass doors, tiled roof, paver drive, walk and decking, beautiful wood cabinetry and granite counters throughout, tray ceiling with crown molding, stainless steel appliances, porcelain tile flooring in entire living and wet areas, and so much more. Why take a chance with a no name builder? We take pride in our reputation of creating custom luxury homes and being in business since 1972 with a dedication to perfection.